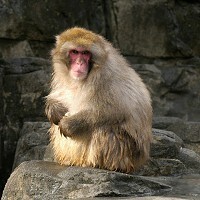 Visit NY zoos to find amazing creatures from around the world. A great place to take the family for a day out, zoos in New York will show you creatures up close that you could never otherwise see. Discover the amazing animals and habitats that exist in nature when you visit a New york zoo. As the largest metropolitan zoo in the world, the Bronx Zoo is New York's most famous. 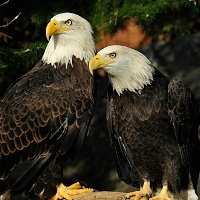 Home to thousands of animals including many endangered species, this zoo is a fascinating place to visit in NY. You will not be bored as you walk through each of the zoo regions and see the animals that are indigenous to each area of the world. 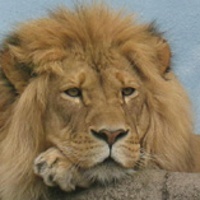 See outdoor exhibits of lions, gorillas, elephants, zebras, gazelles and more interesting animals. An indoor tropical jungle recreates the habitat of hundreds of animals including otters, turtles, and toads. People of all ages will love wandering through the beautiful Butterfly Garden, the noisy Monkey House and the quiet Mouse House. Bring your kids or a date to this New York zoo located in Prospect Park. 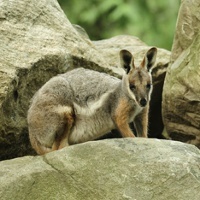 See cute kangaroos, prickly porcupines and playful prairie dogs when you walk through the Discovery Trail at this zoo. Special exhibits highlight different aspects of animal lives, our relationship with them and animals in art, giving visitors a unique look at these creatures. 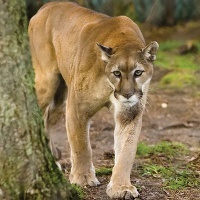 Dedicated to restoring endangered species and educating the public about wildlife, this zoo has many educational programs and exhibits where visitors can learn about animals all over the world. Visit the Amazing Nocturnal Animals exhibit and see endangered bats or watch fish swim around in Lake Malawi. There's tons to do and see at this great NY zoo. One of the Best Zoos of American Animals! Visit the amazing array of animals that call Queens Zoo their home. Home only to animals native to the Americas, this is a great place to learn more about the continent we call home. Walk through the Great Plains exhibit and watch the majestic bison grazing; see if you can spot the sneaky coyotes that try to keep low profiles. This 5 acre zoo boasts an aviary, a sea lion pool, a waterfowl marsh and much more. If you come at one of the three sea lion feeding times you can see these playful animals being fed by a zookeeper while you learn a bit about their habits and lives. If you're visiting this NY zoo with small children be sure to stop by the discovery center for a chance to look at animal-themed storybooks, make crafts and do fun activities. This zoo is open 365 days a year. One of NY's Top Urban Zoos! 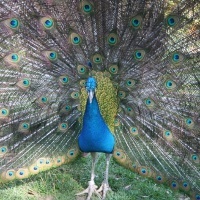 See peacocks, groundhogs, rattlesnakes and servals at this 8 acre urban zoo in New York. Though small this zoo still manages to be home to over 4,000 animals and 200 species. Much of the zoo is indoors, making it a great place to visit even on a rainy day. See the Tropical Forest wing where you can view animals such as leopards and vampire bats or the African Savannah where you can see adorable meerkats and hyrax. Outside pens and habitats are home to foxes, lynx, otters and emus among other animals. This family friendly zoo has a children's center where regular events take place to teach kids more about animals. The pony rides are always a favorite among children visiting the zoo so make sure you stop by. A Truly Unique Zoo in NY! This wildlife park and children's zoo is dedicated to helping families learn about animals and wildlife in a natural environment. Animals such as a giraffe, kangaroos, lemurs, monkeys, zebras and a whole load of other animals both exotic and domestic live at this NY game farm. The perfect place for children, this zoo has many 'petting' areas so children and adults can interact with the animals they are viewing. Stop by Old MacDonald's Farmyard where you can not only look at but touch and pet rabbits, pigs, ponies and chickens. When you want a break from walking around you can take a pony ride or ride one of the many carnival rides this fun zoo in NY has to offer. Open April through October. Great Zoo in the Middle of the City! Despite its small size, the Central Park Zoo still manages to offer an impressive array of exotic and domestic animals. 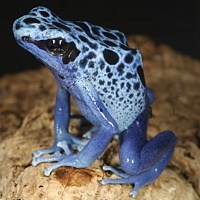 Polar bears, snow leopards, gentoo penguins, red pandas and poison frogs are just a few of the animals from around the world that you will see when you visit. Penguin and sea lion feedings take place a few times a day and are sure to delight people of all ages. The Tisch Children's Zoo is an interactive nature trail where kids can meet friendly farm animals such as sheep and llamas. Check out the amazing "4-D Theater" where your seats will move as part of the film experience! This great New York zoo is open 365 days a year. 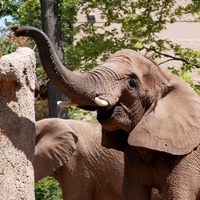 If you're looking for great zoos in New York look no further than the Rosamond Gifford Zoo! This small zoo has exciting animals such as falcons, squirrel monkeys, bats, ocelots, foxes and more! Watch the zoo's herd of Asian elephants as they exercise and browse for food or head indoors to the aquarium section where colorful and unusual fish swim happily in their tanks. Home to New York's only orangutangs and African elephants, the Seneca Park Zoo is definitely worth a visit. This fun New York Zoo has hundreds of exotic animals including alligators, a wide range of snakes, meerkats, ocelots, parrots and more! This zoo also has an "education collection" of animals that can be safely handled by instructors so visitors can see them up close. A cafe and concession stands make it easy to take a break from walking around and have some lunch. Fun events such as Night at the Zoo take place regularly to raise funds for the zoo and provide visitors with a fun and educational experience. Open year round except for Thanksgiving, Christmas and New Year's Day. This great zoo located in the heart of the park is a 6.5 acre animal wonderland. Children will have a blast visiting the polar bears, sea lions, snow leopards, monkeys and many more animals at this fun NY zoo. New York's first official zoo and the only one located on Manhattan Island, this zoo has been open since 1860. Spend the afternoon there with your kids learning about the various animals. If you plan your visit for the right time you can even watch the sea lions get their lunch! Are you brave enough to feed, pet and play with the polar bears and other live animals at one of the Zoos in New York? Come and visit the Buffalo Zoo during any season of the year! 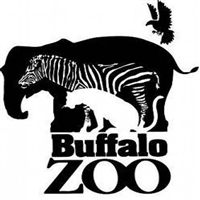 The Buffalo Zoo is the home of almost 1000 species of animals both wild and endangered. It is a neat little zoo in NY to visit and get in touch with your caring side and spend the whole day getting to see all the rainforest creatures. 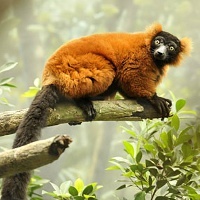 It is also a great destination to take your family and friends for a nice zoo experience--from the rainforest to the den of wild bears to the family friendly buffaloes. This zoo may not have all the bells and whistles that other zoos in NY have, but it's a great zoo to take your children to learn about all of the animals it has to offer that's in our city. It is also a great place to experience the rain forest in the Rain Forest exhibit.